When you see some of the glitches in certain video games, you really have to wonder whether the game was tested. 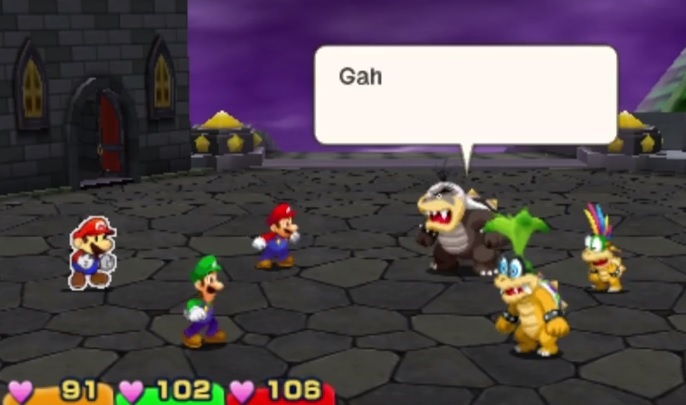 But when it comes to Mario & Luigi Paper Jam on the other hand… well, you just know the game wasn’t tested properly. And nowhere is this more evident than in the latest game changing bug found by Really Tall on Youtube. In fact, it is literally the most broken thing ever found in a Nintendo game. 2. Now, go to the boss battle you want to skip. Any battle will do, so this means you can instantly beat anything from Wiggler onwards. 3. Die. This is usually pretty simple to do, especially if you’re leveled up somewhat normally. If not, certain Battle Cards will hurt you for up to 80% of your maximum HP, and certain gear will damage you when using it. 4. Congrats, you did it! 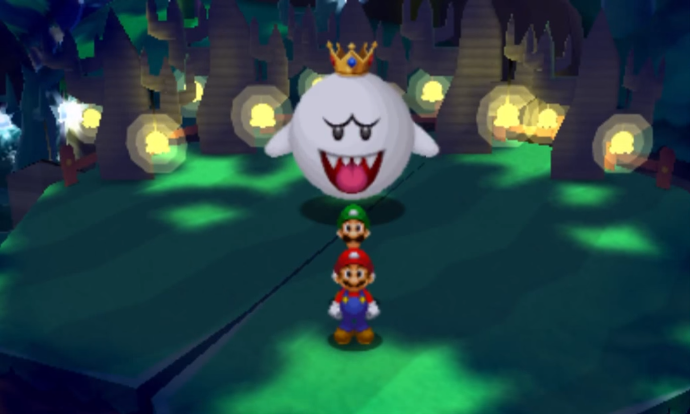 You’ll now watch any cutscenes that play after said boss is defeated, though most of the surrounding area might be invisible. More on that later. And that’s literally all there is to it. Once the glitch is active, you basically have a magic super guide activated that lets you skip any battle you want to. What’s it good for? 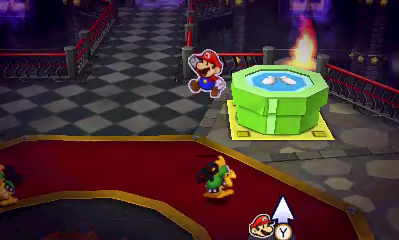 Well, if you’re one of those people who plays RPGs for the storyline and characters and doesn’t give a toss about the gameplay element, this lets you play Mario & Luigi Paper Jam in the exact same way. If you’re really stuck at a boss battle, this is basically the next best thing to an Action Replay, since you don’t even need to use easy mode. And if you’re a video game journalist (read, somewhat lazy hack who gets stuck when the game is even remotely challenging), well, this lets you see the ending and credits without having to deal with that pesky final boss thing. Might be good for the folks at IGN or Polygon, since it completely does away with the need to dodge anything or practice those timed hits. It doesn’t have any practical effects (collision detection still exists, and things like pipes, doors and obstacles still act like normal), but damn it looks pretty cool. Kind of like if the trio become so powerful, they broke the space time continuum. Which let’s be perfectly honest here, they kind of did. The glitch gets even more strange if done in a normal battle. There, losing actually repeats the battle. Indefinitely. So the party are now 100% ‘immortal’ and can keep fighting their battle over and over until they win, without the game ever going back to an earlier save point. 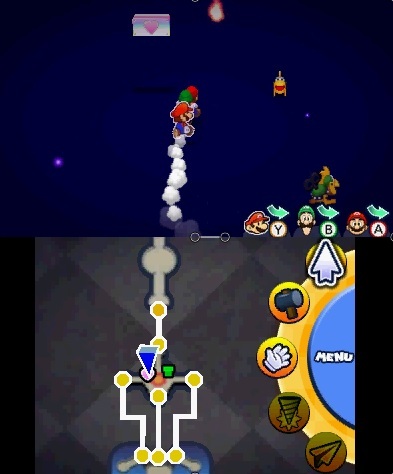 If they run away from the battle on the other hand, reality breaks down and they end up in the blue void shown above. 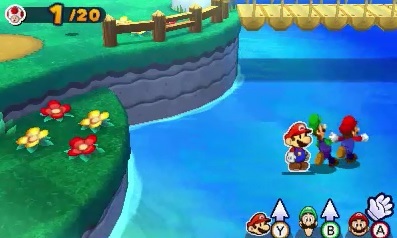 Either way, through this and the Gloomy Woods skip glitch found earlier, Mario & Luigi Paper Jam is now just 100% broken. The whole game is now beatable in about 2 hours without most abilities and without having to fight a single boss. It’s like Super Mario 64, The Legend of Zelda Ocarina of Time or Pokemon Red/Blue all over again! 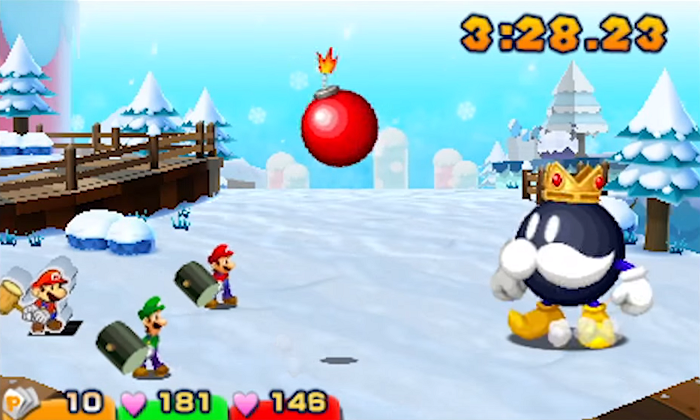 What do you think of this new bug in Mario & Luigi Paper Jam?